This tropical paradise home is tucked away in the district of Noord in the neighborhood of Boegoerooi. It has everything one could desire in a resort conveniently packaged into a dream home. 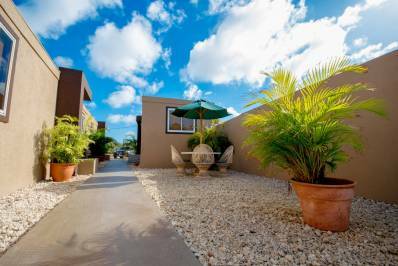 This amazing home is nested in a nice built up, quiet neighborhood within minutes of schools, supermarkets, churches and all of Aruba’s nightlife and entertainment. Accommodations: Villa; 5 bedrooms; 4.5 baths; sleeps 10-12. Situated on nearly three acres atop a hill with a stunning view of the ocean including Eagle and Palm Beach, Villa Tropical is described by many who know Aruba as one of the finest homes on the island. The custom natural rock pool is unique to the island and is surrounded by an amazing fully mature and expansive garden and natural rock waterfall. Enjoy the day sunbathing by the pool on the comfortable teak lounge furniture. Listen to the tropical birds while you admire the fantastic ocean sunsets from the infinity hot-tub while friends play volleyball or from the large palapa gazebo while you and your family enjoy an evening meal. Sleep comfortably in 5 fully airconditioned bedrooms. Villa Tropical is very private and on a very large parcel of land which also includes a 150 fruit tree orchard. The trade winds blow unencumbered through the whole home if you desire. In addition to the amenities listed below, daily houskeeping can be arranged at an additional cost, There is a $250.00 cleaning fee per week that will include one vist during your stay and clean up when you leave the island. 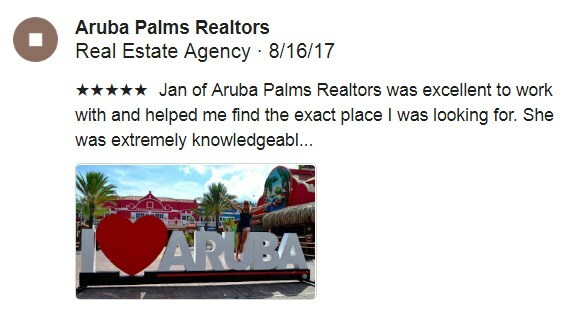 Come have fun on Aruba and reserve your stay on the island at Villa Tropical. You will be very glad that you did.